GUND is proud to present Pusheen - a chubby gray tabby cat that loves cuddles,snacks, and dress-up. As a popular web comic, Pusheen brings brightness andchuckles to millions of followers in her rapidly growing online fan base. 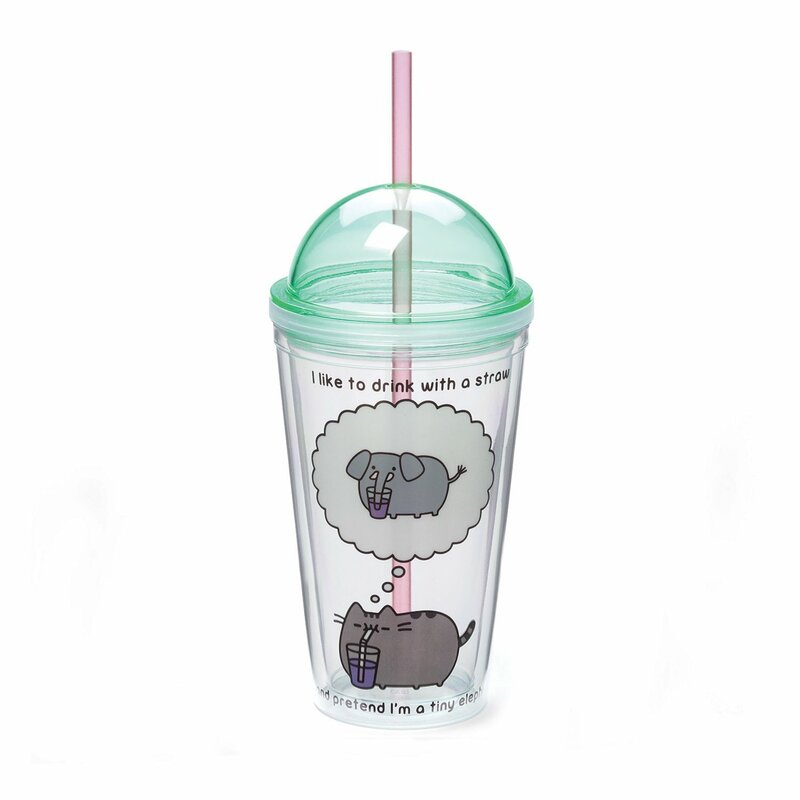 ThisBPA-free plastic tumbler cup features high-quality graphics from a popularPusheen comic. Message reads "I like to drink with a straw and pretend I'm atiny elephant." Includes a removable, secure dome lid as well as a removableplastic straw to help avoid messes. Hand wash only. About GUND: For more than100 years, GUND has been a premier plush company recognized worldwide forquality innovative products. Building upon our award-winning and beloved plushdesigns, we continue to practice innovation by constantly developing neworiginal and licensed designs to appeal to the next generation of customers.To that end, each one of our plush toys is constructed from premium materialsfor unparalleled softness and huggability.